I read this article and found it very interesting, thought it might be something for you. The article is called Premji, Azim and is located at https://www.medalofphilanthropy.org/premji-azim/. Doing “real and permanent good” is a defining pillar of Andrew Carnegie’s vision of philanthropy. The life of Azim Premji embodies that vision. Mr. Premji came of age at the dawn of India’s independence, a period that he has described as one of hope, idealism, and sacrifice for the greater good. The heroes of this era included his mother, a medical doctor by training who spent nearly 50 years funding, building, and running a charitable hospital for children with polio and cerebral palsy. Mr. Premji credits his mother as a guide and inspiration for his philanthropy. 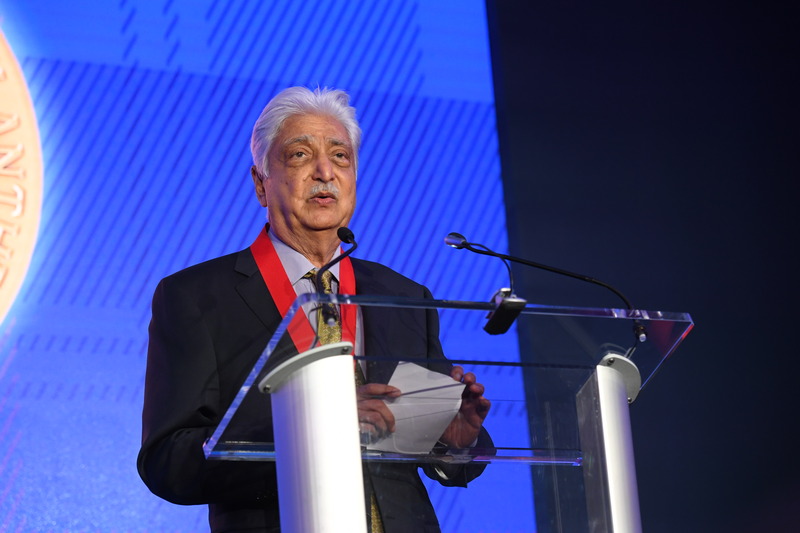 As a young man, Mr. Premji went to Stanford University to study engineering. When his father died suddenly in 1966, he returned to India and assumed responsibility for the family business. Western India Vegetable Products Ltd. performed well and advanced under his leadership. Notwithstanding this success, by the arrival of the 1980s Mr. Premji recognized the potential of technology and gradually shifted the company’s focus. He renamed it WIPRO and began specializing in the production of minicomputers. The company became renowned for IT, business process outsourcing, and R&D services. This transformation lifted an already successful company to new heights and extraordinary wealth. Throughout his career Mr. Premji has remained deeply faithful to Mahatma Gandhi’s belief that the wealthy are trustees of their fortunes and, as such, are obligated to uplift their societies. Reaching a point when others might have rested on their laurels, Mr. Premji delved even further into uncharted territory. His next challenge was a historic one: how to remedy one of the longest-standing inequities in Indian society. Thanks to him, some of the country’s poorest and most marginalized citizens are gaining better access to education. Today the Azim Premji Foundation’s educational experts are deeply engaged on the ground across seven states in India, helping improve the equity and quality of over 350,000 schools. The foundation’s strategic and comprehensive outreach extends from remote villages to street children in major cities. In turn, many Azim Premji University graduates aid in the foundation’s monumental work, as well as that of other organizations working for social good in India. 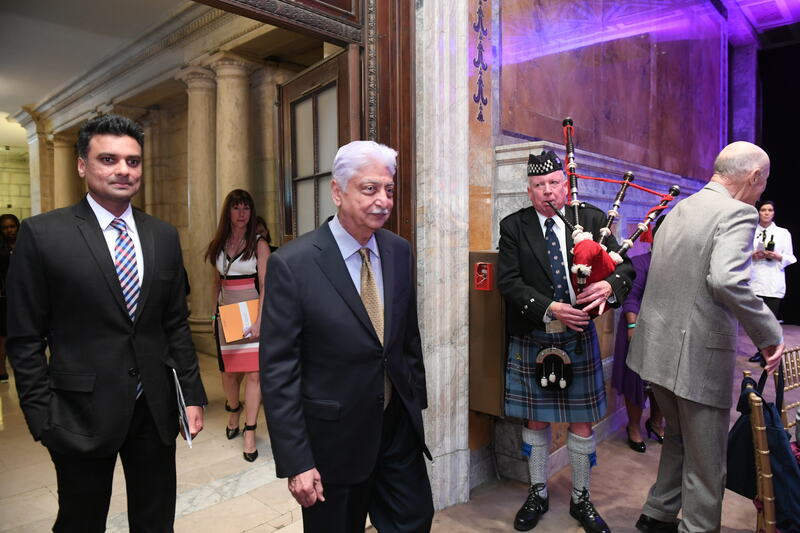 Mr. Premji’s aim is to emancipate individuals from economic and social dependence through the advancement and diffusion of knowledge, similar to Mr. Carnegie’s own philanthropic goals. In addition, over the past two years Mr. Premji has established a new grantmaking endeavor, Azim Premji Philanthropic Initiatives, which supports not-for-profits working on issues ranging from helping women at risk of violence and people with disabilities to improving local self-governance, reducing child malnutrition, and interventions to ameliorate the hardships experienced by small and marginal farmers. This fast-scaling grantmaking initiative complements Mr. Premji’s sustained work in education, all with the goal of helping to build a better India. 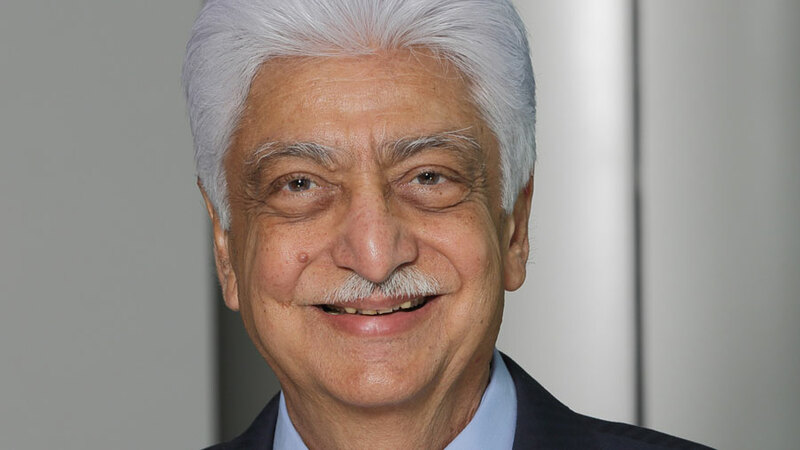 It is no surprise that Mr. Premji is the recipient of numerous awards and accolades. 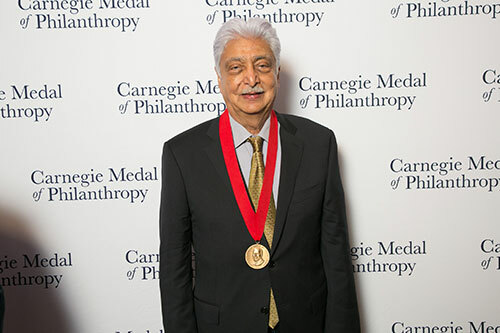 He received the Padma Vibhushan, one of India’s highest civilian awards, and France’s Legion of Honor, and in 2011 was named to the “Time 100,” Time magazine’s list of “the most influential people in the world.” The Carnegie family of institutions hails the remarkable Mr. Premji and the conscience, integrity, and compassion that have guided his visionary giving. His devotion to India is of invaluable benefit to both that nation and to the world. We are privileged to count him among the recipients of the Carnegie Medal of Philanthropy.